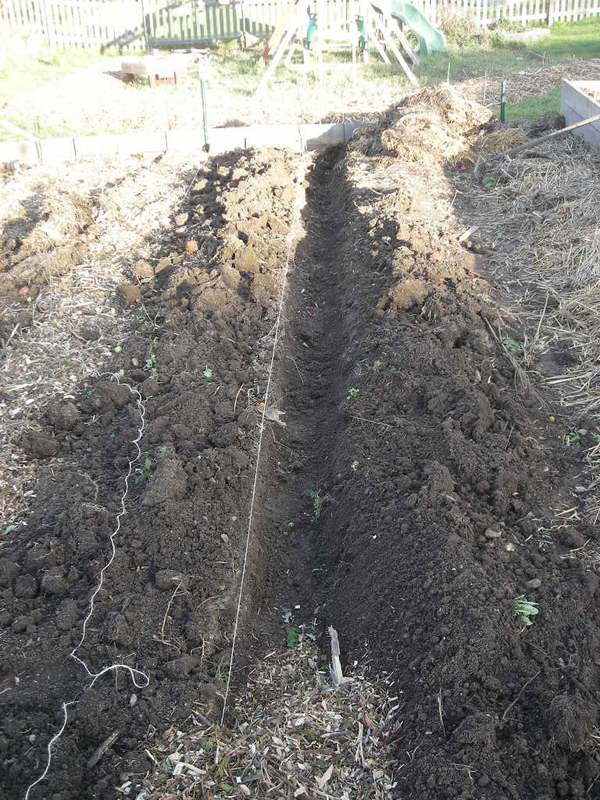 Like most readers of this blog, we are striving to live lighter on the land. We watch our consumption, drive fuel efficient cars, offset our carbon emissions with green energy, and grow alot of our own food. One thing that we struggle with here was discussed to some degree in the last post. Our home is new, and full of new appliances. Most are Energy star, but that is a far cry from the cutting edge of efficiency or renewable options. But removing a working refrigerator or furnace seems ridiculous and is hard to justify and budgetary grounds when other options still present themselves for impact reduction. One of those remaining Green Options was finally implemented this week thanks to some seeds planted by fellow bloggers. Our kids are sick and we are running humidifiers to control their coughs so I have been thinking about humidity. Then I go downstairs to run the dryer, pumping hot, humid air out into the ether. This seemed ridiculous. Take that a step further, for every cubic foot of air pumped out through the dryer vent, a commensurate volume of cold air must be brought into the house only to be heated by our NG furnace, which further dries the air. That is just dumb. We have an unfinished basement, so it was easy to install. Here is a close up of the pulley. As you can see, the 22′ run of the clothesline is stretching the line badly, I advise gettingthe coated wire line to reduce sag. The 22′ run holds enough for one load and dries in about 24 hours without any fans. 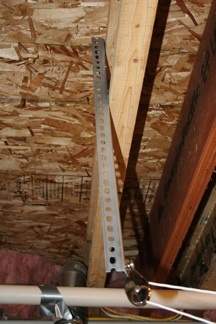 By mounting it directly above the washer, we can now hang clothes right from our front loader without walking anywhere. Slick! Savings from 2 winters worth of dryer sheets will pay for the materials, and of course the energy savings are significant. One final thing, we have one heating vent running into our basement. This is open and helps to circulate the air out so that it does not get too humid down there and cause issues. Mia and I despise The Lamers. Lamers are anyone that slings mud at someone for “not doing enough”. Easy examples are criticizing the Prius driver for being “totally lame” for not biking to work, or beating up on someone for buying organic cereal instead of bulk steel cut oats. What started this all and had us begin using the term “Lamer” is this very humorous article in GristMill. Get over it! Here in the Rob and Mia household we believe that the most important step is to choose to make a Change, not the change itself. The adage is true: Every journey begins with a step! My Eco Mama just put up a great post to that effect. While I am almost daily confronted with the fact that I am crossing the ill defined line from interest into obsession when it comes to Green Issues which among other things is making me a difficult conversationalist (I do not advise bringing up supposedly poor mileage of the Prius or try to lame CFL’s due to their Mercury content… it gets ugly.) Admitting you have a problem is the first step right? Anyway. Taking my daily spin around the Environmental News Network this morning (remember the obsession thing) I stumbled upon Big Green Purse. BGP is focused on helping women make more sustainable purchases. Why the female focus? Because women spend 85% of the money in the marketplace. Given the serious amounts of money spent in the consumer economy, educating that percentage can literally change the world we live in. Still exploring it, but it looks fabulous!